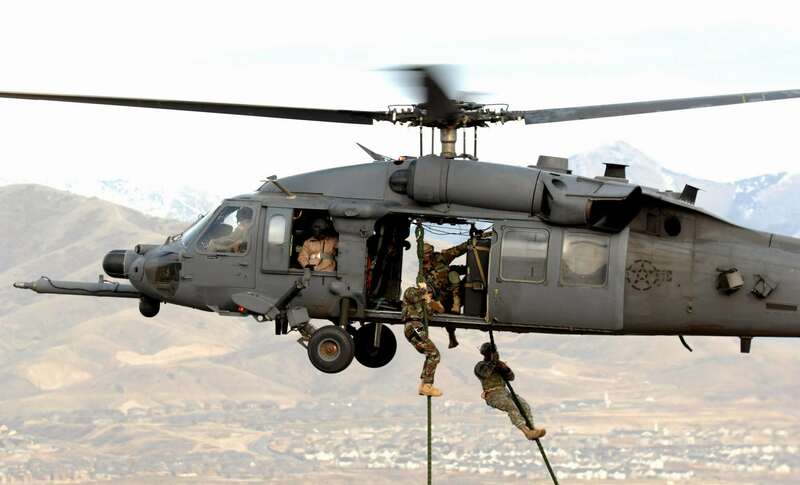 A Utah National Guard Soldier and 19th Special Forces member are lifted on board an HH-60 Pave Hawk during a combat search and rescue integration exercise over the Utah Test and Training Range in November 2017. The U.S. Air Force has chosen FreeFlight Systems to provide FAA-mandated collision-avoidance systems for the Sikorsky HH-60G Pave Hawk, the service's primary combat search-and-rescue helicopter. FreeFlight's 1203C satellite-based augmentation system/global navigation satellite system sensor will provide automatic dependent surveillance-broadcast, or ADS-B, for the Pavehawk. Once installation is complete, the helicopters will be fully compliant with the FAA-mandated ADS-B equipage directive, which dictates all aircraft operating in U.S. airspace are required to have ADS-B systems that include certified position source information by Jan. 1, 2020. 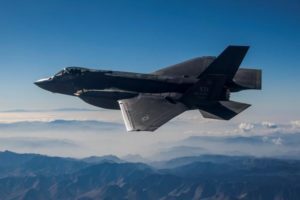 The modification program has been awarded to Warner Robins, Georgia-based Strategic Enterprise Solutions, Corp. 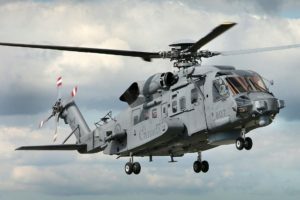 It includes the installation of the sensor and the APX-119 Mode S Extended Squitter transponder with Mode 5 capability for the ADS-B out solution on more than 100 helicopters, according to FreeFlight. FreeFlight's 1203C system is employed on commercial airline, military and business aviation fixed-wing and rotorcraft.